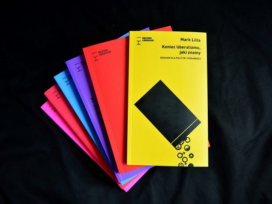 Eurozine partner Kultura Liberalna celebrates its 10th anniversary. Kultura Liberalna is a weekly Polish journal, website, publishing house, think tank and NGO whose mission is to create a better Europe by fostering democratic and liberal values. The anniversary celebrations will continue throughout the year and include an international conference in the Autumn and an ongoing crowdfunding initiative. Alongside the journal and publishing house, Kultura Liberalna hosts conferences, seminars and other public events, among them an annual conference on international politics, hosted in the Polish Theatre in Warsaw, an annual conference about Poland at the University of Oxford, and seminars on the interconnection between history and literature, hosted at Kultura Liberalna’s headquarters ‘The Attic of Culture’.